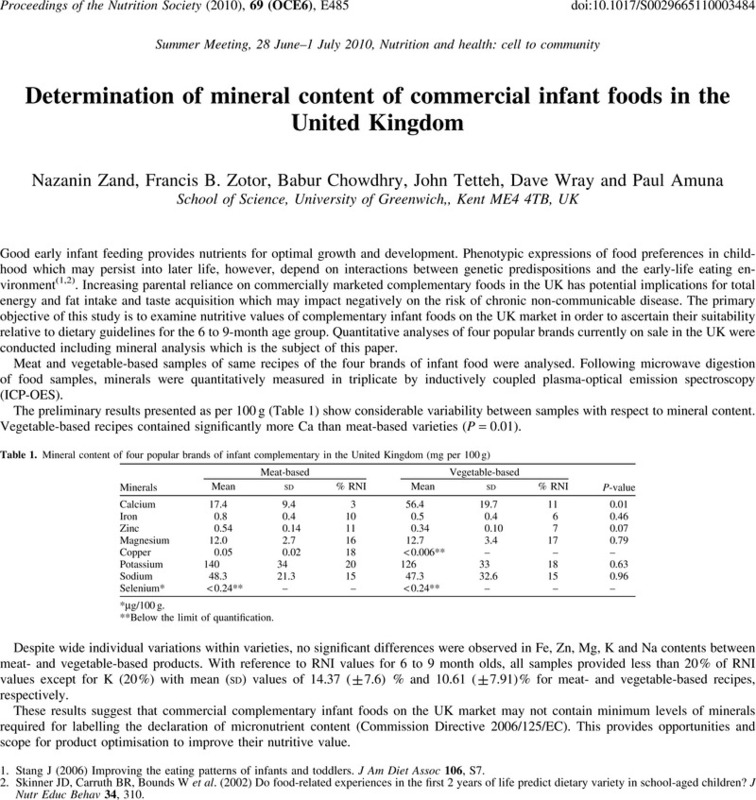 1.Stang, J (2006) Improving the eating patterns of infants and toddlers. J Am Diet Assoc 106, S7. 2.Skinner, JD, Carruth, BR, Bounds, W et al. (2002) Do food-related experiences in the first 2 years of life predict dietary variety in school-aged children? J Nutr Educ Behav 34, 310 .